Vertical storage is adopted for storaging carton blanks, for which carton blanks can be added at any time without stopping the machine; It’s suitable for forming and sealing cartons of the same size. 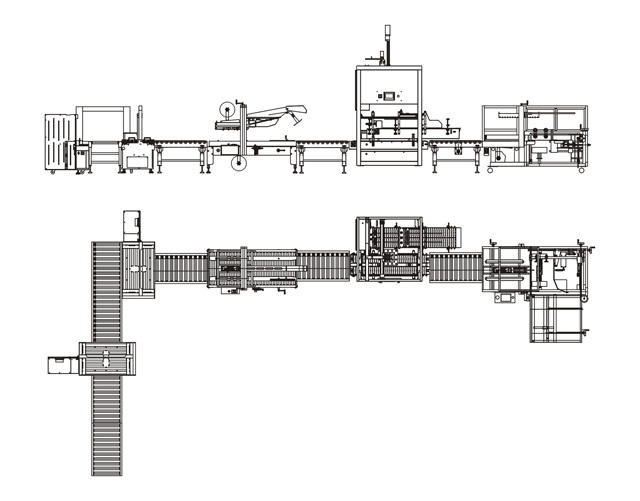 If carton size need to be changed, the operator should adjust the machine manually(finishing in 2-3minutes); It’s rationally designed so that the forming, folding and sealing process are accomplished imultaneously; All the parts are precise and durable,without causing any vibration in runing. Running steadily with long life; Light in weight, high performance and speed. 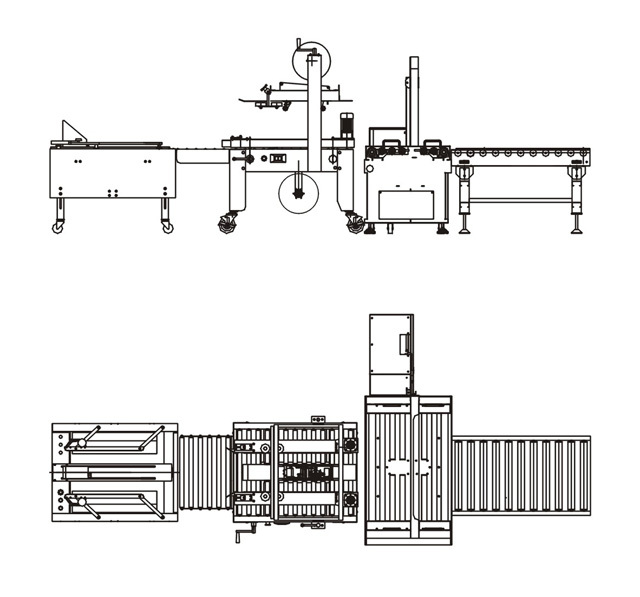 The system consists of carton erector & bottom sealer, automatic carton sealer, automatic strapping machine, 90 degree push conveyor and conveying frame, which has the function of continuous automatic carton open-bottom seal-fill-uppen seal and multi-belt strapping, and it not only takes up less room but also reduces the packing cost as well. It is full automatic control and reliable working, convenient operation and simple maintenance while, all machine can be used separately.